For the past few years, Madeira has been a hot spot for many well-known cinematographers and riders for film productions like the 2015 Santa Cruz Bronson launch video with Rat Boy to the most awaited mountain bike film of 2017, DEATHGRIP. 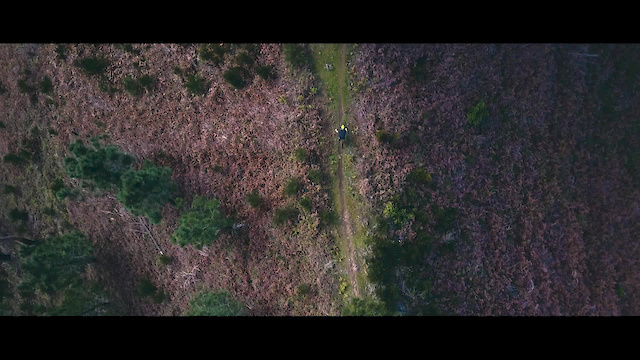 As a bike holiday company, we have been a part of the production of over fifteen mountain bike films on the island having the pleasure to work side by side with some of the best professionals in the industry promoting Madeira as a unique mountain bike destination. From the 8th to 14th of May, we're proud to organize the Enduro World Series Madeira that will take place on the Eastern part of the island, but there's always so much to explore. Because we love to show the best of Madeira to those who visit us we were inspired to organize the Enduro World Series Film Festival with the concept of showing the four sides of the island on each film, allowing everyone to understand that Madeira has various riding areas all different from another and that makes us a destination famous for the incredible variety of terrain, landscapes and vegetation. With the support of the Madeira Tourism, we were able to invite four teams of three elements each to produce a short edit during this Winter and Spring. Each team had a week to shoot and we took them to some of the best trails around the four sides of the Island. 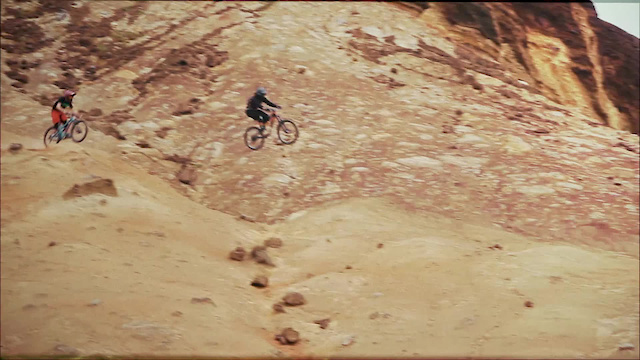 Every edit was shot on different trails that were chosen according to the riders style of riding. The premier of the four films will be on the evening of the 9th of May in Machico, during the Enduro World Series official presentation where a cinema room will welcome over two hundred people and where they will be able to vote for their favorite film. On that evening the films will also go live here on Pinkbike where the world wide community will also be able to vote for their favorite. We will have a Pinkbike winner and a Film Festival winner announced here on the 14th of May. Vote for your favourite video starting May 9th to May 14th. There is 1000€ on the line for the winning team! When I first heard the plan to hold the EWS Film Festival in Madeira last year I was secretly hoping that I’d get an invite to compete! I’ve been out to Madeira to shoot mountain bike content twice now, both in 2016 and both were amazing experiences. With the Film Festival edit, I wanted to shoot something which was more like a personal project, where I had creative control and where I could produce something a little bit different to the normal type of video I produce. Coming from a Downhill background I decided that it would be cool to take some of my close friends from home and shoot more of an adventure style edit, documenting their experiences in a new and exotic mountain bike environment. The guys at 661 were stoked on the idea and we were all excited to get out shooting for the week. When I got the invite to take part in the Film Festival back in December I had no doubts as to who I wanted to be in my crew, a call and text later and we had Matt Hunter onboard as well as Bryn North. Two Africans and a Canadian going into the unknowns of Madeira. Matt would be doing the riding, naturally, we started throwing around ideas and toned it down from jumping out of military helicopters to something we'd like to call "Lonely Island" Matt arrives on the island and can't seem to find anyone else, he sets off on his own to explore the vast diversity there is to be found on all the corners of Madeira. During the film you'll see many different sides of Madeira being showcased, there's a stark contrast between the landscape and something's it's just a thirty minutes drive from one of the other spots. We've never really filmed a mountain bike "edit" so this was a new challenge for us but working with Matt was a treat and we learned a lot, he is a true perfectionist and takes a lot of pride in his work, there's a reason he is the godfather of Freeride mountain bike. Each team was invited with the criteria of gratification for passed collaborations with Freeride Madeira. We would like to thank the filmmakers and riders for their hard work. A special thanks to Pinkbike and Visit Madeira for making this project a reality. We can't wait to welcome you in Madeira! See you on May 9 when voting begins! @wakidesigns with the amount of time you spend on this site commenting on every single article many many times iam starting to doubt if you even ride. Let alone ride madeira.It would be funny if it turned out you were just some geek jacking it over bikes in his mother's basement. Funny how for me, Madeira is a place so cool that I don't need to ride there. It's just amazing to be there and see it. @Monkeyass: I'm not sure which trails you rode, but there's some amazing stuff there. A huge range of different styles; rain forests, volcanic rock, dust, loam, steep and tech, wide open and fast, huge jumps... the list goes on. Definitely one of the best trips I've had, and about 10 of my mates (Including Jacob Gibbins, maker of the Four Corners film, above^^) all list it highly too. The landscapes, views and food are the icing on the cake. @WAKI really good Wifi I presume? I want to drive a 1970 Fiat 124 Abarth Spider there before I die. Or before the Russian steel rusts out. Madeira is probably my favourite place in the world. Ridden there three times and can't wait to go back! I recommend going with the Bikulture guys. On the lookout for places to ride throughout Europe when I visit Spain next summer. This place is now on my radar. Got a lot of research to do still being fresh to the mtb scene. Talk about overwhelming. Madeira is an awesome place to ride. Period. Lonely Island so far for me. Rode for a week here last summer - quite simply stunning. Just go. My vote goes to Lonely Island, my mind goes to Madeira, my body has to stay here in Finale. Could be worst. Looks like no place is immune to the scourge of Blue Gum/Eucalyptus. cant wait for the sick recap videos! !